PGDM Logistics & Supply Chain Management program aims to train and develop future leaders and managers in the fast-growing Logistics & Supply chain sector. With the concept of minimal cost the Supply Chain and logistics management has become a key function in all the big or small industries across the globe. There is a requirement of a large skilled work force at all levels to meet this challenge. The backbone of every industry is their materials management department. Efficient handling the complete supply chain is a must for the excellent profits. This course is well designed and delivered in association with the leading industry partner from SCM & Logistics industry and the student with this knowledge are in great demand in the industry. 100% students get engage with the industry to learn about the practical industrial work environment in companies. Safexpress has firmly entrenched itself as the ‘Knowledge Leader’ and ‘Market Leader’ of the Supply Chain & Logistics Industry and offers a complete spectrum of Supply Chain & Logistics services including Express Distribution, 3PL and Consulting to Enterprise Customers. Safexpress provides services to a vast array of business verticals ranging from Apparel & Lifestyle, Healthcare, Hi-Tech, Publishing, Automotive, Engineering & Electrical Hardware, FMCG & Consumer Electronics, and Institutional. It has been significantly involved in the Indian economic growth saga for the whole of last decade. With an intention of contributing in country’s economic growth, Safexpress kept its operations India-centric. Safexpress provides Supply Chain & Logistics services to over 6000 corporate clients across 8 business verticals. With its largest fleet of over 4000 GPS enabled vehicles & largest network over 600 destinations in India, Safexpress has the capability to deliver to every square inch of India. 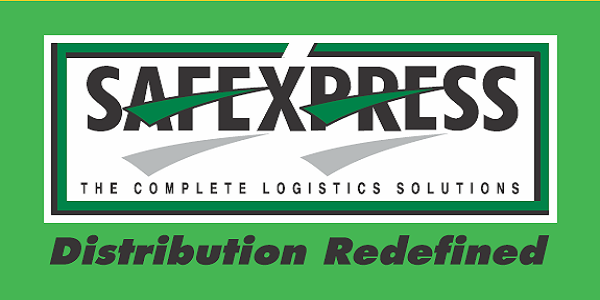 Safexpress is the leading Logistics Service Provider of India with a turnover of approximately 1200 Crores. Since inception, learning has always been a core focus at Safexpress. Be it learning of its employees or of Associates (Vendors) or of Customers, Safexpress has always been at the forefront. The inside-out approach to training & development and Skill Development catapulted Safexpress into a Market Leader & Knowledge leader in no time. Safexpress runs lots of high quality, affordable learning initiatives for all sections of the SCM & Logistics Industry. Safeducate was founded in the year 1997, when Safexpress- India’s largest Supply Chain and Logistics Company, envisioned the skill need in the supply chain & logistics industry. Ever since, Safeducate has made its presence strongly felt by nurturing competent workforce and continuously striving towards developing a talent pool of proficient supply chain and logistics professionals. Led by the alumni of Stanford, Columbia and Cambridge Universities, the team blends rich operational experience with international know-how and best practices to create programs which are extremely stimulating, hands on and industry focused. 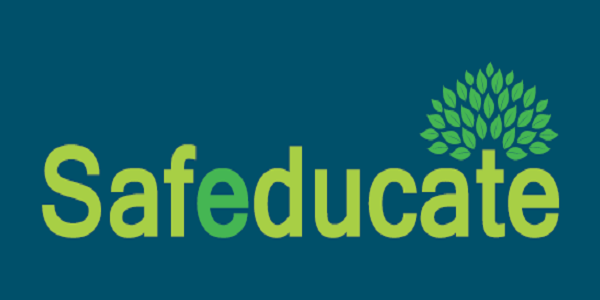 Using the latest in technology and its rich pool of experienced, qualified and certified trainers and content experts, Safeducate displays a unique ability to develop strategic as well as tactical programs tailor-made according to the organizational needs. They are pioneers in Skilling in the field of India’s supply chain and logistics sector and trained more than 30,000 youth from all over India with 31 state-of-the-art Learning Centers. Safeducate has been awarded Gold Trophy and Certificate for the category ‘Best Institute- Innovation’ by ASSOCHAM in March, 2016 also, awarded ‘Best Vocational Education’ for the year at the 5th Indian Education Awards 2015 held in Delhi. They Set up central India’s largest driver training school in Indore in association with Eicher Motors. A highly intensive Work Place Skills training plan (Soft skills + IT skills) is integrated with the main course for change in behavior and attitude of the Trainees. PGDM Logistics & Supply Chain Management program aims to train and develop future leaders and managers in the fast-growing Logistics & Supply chain sector. In this highly integrated program, student would acquire knowledge and understanding of multiple facets of supply chain business including purchasing, materials management, supply-chain management, transportation, customs regulations, foreign exchange, international trade and information technology among various other aspects. The program further examines different Supply Chain Management strategies and methods of forecasting demand, aggregate planning and network design. The program spans through the whole gamut of Supply Chain strategies, processes, operations management and imbibes in the learner professional skills to add value to the organisation. Opportunity for earning in the last year while studying this two year course “One year Earn while you learn”. Candidates having minimum 50% aggregate (45% in case of reserved category), From a recognized university are eligible for this program. (Final year students awaiting results can also apply, however they need to have their final result meeting this requirement). The student must have qualified from any of the six all India tests i.e. CAT,XAT,CMAT,ATMA,MAT,GMAT. Summation of the application for admission by the candidate. Score of the candidate in qualifying test -CAT, XAT, CMAT, ATMA, MAT, GMAT will have 35 to 60% weightage in selection process. Score of the candidate in academic examination – the performance of the candidate in 10th slandered, 12th slandered & Under Graduate Degree/ Post Graduate Degree will have 25 to 45% weightage in selection process. Group Discussion/ Personal Interview- this will have 35 to 60% weightage in selection process. Note 1. The subjects Marked *are by Safeducte which will include hands-on-training by Safeducte faculty. Note 2. 5 & 6th trimester- Industrial Training / Project will be on the job training mode and will be organized /monitored / mentored by Safeducate experts. WE GIVE YOU WINGS TO ASPIRE HIGH AND EMBRACE THE SUCCESS OF BECOMING INDUSTRY ENDORSED SAFEDUCATE CERTIFIED PROFESSIONAL. B.Tech, Mechanical Engineering, M.Tech – Industrial Engineering & Management( IIT Dhanbad). 8+ years of experience in areas of expertise such as: Supply Chain Management, Performance Measurement, Supply Chain Coordination and Manufacturing. Phd. (Education Management), M. Phil, MBA (Finance & Marketing) ,M.Com, M.A. (Economics), LLB. 12+ years of experience in industry & education, management field in areas of interest such as Strategy Management, Business law, Financial and Cost Accounting, Coaching, Training, Teaching and Personality development. Engineering Graduate, B.tech (Mechatronics Engineering) MBA (Logistics & Supply Chain Management. He has worked with HCL technologies in the area of international operations. He has conducted many research projects in his areas of expertise such as Demand forecasting for Supply Chain Management, Operations Management, Multimodal transportation & Warehousing. Management graduate, CII certified SCM professional and qualified instructional designer from Symbiosis. Has lead designing of various curriculum for corporate programs, long and short term programs for institutions and skill development courses for various government skill development programs. He is also a certified master trainer of Logistics Sector Skill Council. He has more than 16 years of experience in logistics management and supply chain management. An accomplished Assistant Professor Pratik is a MBA (Logistics & Shipping) BE (Marine Engineering),Ph.D (Supply chain Management). His expertise include Marine Engineering and Freight Forwarding along with Logistics, Supply Chain Management, International Trade, EXIM Documentations and procedures, Vessel & Cargo Operations (Liquid bulk, Dry bulk and Containers), Ship broking principles & Liner operations and Port ,Terminal& CFS Operations. Commerce Graduate ( Delhi University) advanced diploma (Tool & Die making) , Certificate in composite Insurance Broking and Green Belt in Six Sigma. He has 11 years of rich industry experience. His areas of interest are: Sales, Customer Service, Training and development, Machines & tools and Business analytics. MBA(IT), MSC (CS) BCA, B.ED, Diploma in Education, Diploma in Business Communication from British Council, New Delhi. With an experience of 9 years in the areas of expertise: IT enabled trainings, Business communication, Soft Skills and Education Psychology. Currently, Paras is working as Soft Skills Trainer in Safeducate Learning Pvt. Ltd.
A post graduate from DU & an MBA in HR, APICS Certified Supply Chain Professional (CSCP) and a certified APICS trainer, she also delivers APICS supply chain & logistics related training programs and is an active member of APICS body. She has also worked in Inspire One,where she managed leadership training programs end-to end from diagnosis, content development and implementation to integration for eminent organizations across various sectors.